As all Nintendo fans know, the Wii U was something of a disappointment. Nintendo was gambling that the console’s double touch screen gimmick would propel the Wii U to the top in the console wars with Microsoft and Sony, but the Wii U ended up being a horrendous failure, and it sold tens of millions less units than the earlier Wii. Thankfully, though, Nintendo has redeemed itself with the Nintendo Switch, a hybrid between a handheld and a traditional living room console which has sold more than 30 million units since its launch in 2017, and also boasts some of the very best games around including The Legend of Zelda: Breath of the Wild and others. 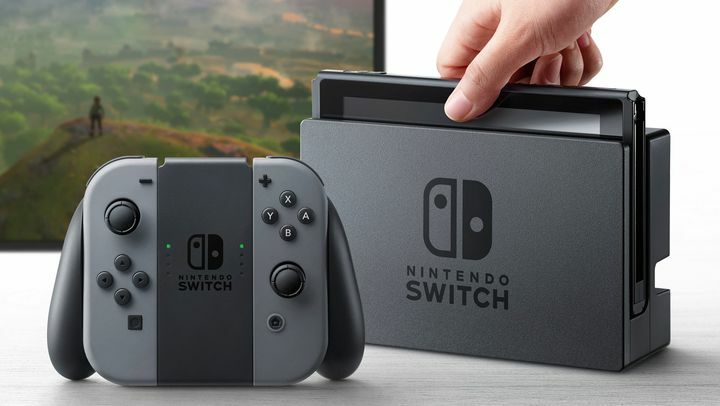 But no matter how successful the vanilla Switch has been, it seems Japanese giant Nintendo will be launching two new variants of the Nintendo Switch this year, as was recently reported on The Wall Street Journal (via GameSpot). One of these will be a more powerful edition of the base console, similar to what Sony did with the PS4 Pro. Specs-wise, though, this revamped Nintendo Switch won’t match the PS4 Pro (or Microsoft’s Xbox One X for that matter) according to The Wall Street Journal’s sources. But still, a more powerful edition of the Switch surely makes sense – the standard console is not even a match for the Xbox One, the least powerful of all the current-gen consoles. This is even the case when running in the console’s “docked” (and not its handheld mode), so it makes sense that Nintendo would want to release a more powerful version of the Switch now. This is especially true taking into account that both Sony and Microsoft could be on the verge of revealing their next-gen consoles, likely this year. Sony’s president Shuhei Yoshida made it clear recently the company now has its sights on producing a new console, meaning the new PS5 could be announced soon (not at E3 though – Sony is skipping the big show in Los Angeles this year). As for Microsoft, it revealing a new console (the Xbox Two?) at this year’s E3 is almost a given. So a more powerful variant of the Nintendo Switch makes sense then, but apparently Nintendo is also hard at work on a cheaper version of the Switch. Amongst other things, this version could be shipped without a vibrating controller in order to reduce costs. Both the budget and enhanced versions of the Nintendo Switch will be announced at this year’s E3 show and will launch this holiday season according to The Wall Street Journal, so there’s not that long to wait in order to find out what surprises Nintendo has in store for gamers. Here’s hoping, then, that new versions of the Nintendo Switch lead to bigger and greater games for the Japanese company’s best-selling console, and that these new models end up being an even better deal for those looking to buy a Switch this holiday season.